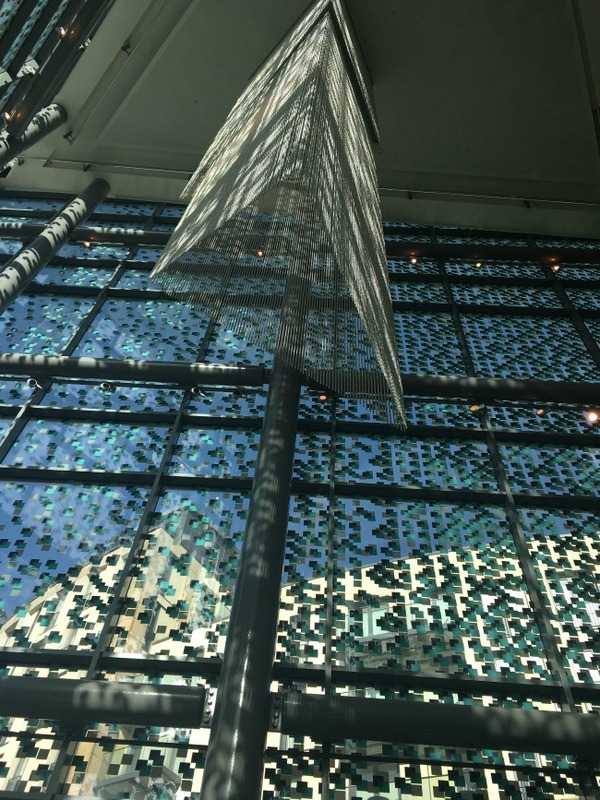 #MySundayPhoto Number 10 is of the glass walls in the Benugo Café at John Lewis in Cardiff. We were invited to lunch and it was a beautiful sunny day. A rare treat in Cardiff. The sun shining through was warm and welcome. Such a clever photo, it looks like a suspended building in the middle, more of the sunny days needed here! Absolutely we need more sun! Hi Cardigan, what an interesting looking wall. Enjoying the spring sunshine whilst having lunch is a sure sign that spring is on it;s way. That's such an interesting image, what a stunning feature to have in a cafe!